It’s a super convenience if every change you make to a folder or files on other devices are made to your main folder or file because with this you don’t have to manually make changes to the original file or folder. You can do this with the help of SyncMate Experts. You just need a couple of clicks and all your folders regardless of the number of files will be updated on synced devices. SyncMate Expert is a versatile syncing app that syncs folders that contain multiple files with Android device (phone or tablet) on your Mac. In addition to syncing folders for Android and Mac, Expert syncs audios, videos, photos, bookmarks, iTunes playlists, and more. 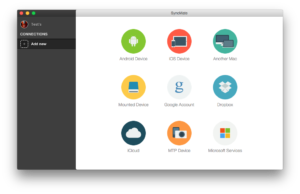 You can manage text message straight on Mac keyboard and screen and mount Android devices as Mac disks with SyncMate, an app to synchronize Mac folders Android. A free SyncMate is also there and it can sync contacts as well as calendar events on Mac with Android. Download and install SyncMate on your computer. Upgrade from the free version to Expert. You will find “Add New” link on the left. Click it and select Android device. Connect the device to your Mac. Hit “+” button at the top and select “Folders” from the list. You can even set filters to sync specific items and configure the side with a greater priority – whether it is the connected device or Mac (for the time when a file was changed while syncing). Hit “Sync” and folders on both the sides will be updated. 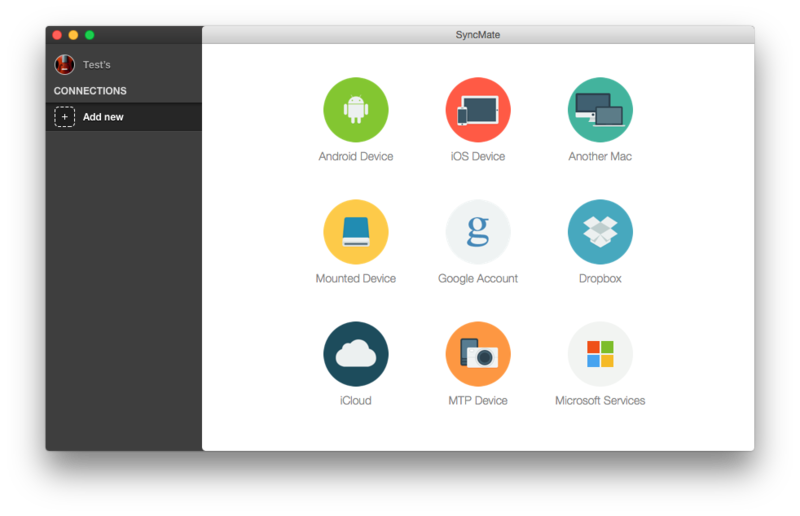 You have a lot of scope with SyncMate, including syncing iOS devices, Android devices, other Mac computers, Window services (Office 365 Home and Business editions, Outlook), and online storages (Google, iCloud, Dropbox). Working with SyncMate is easy and reliable.